Get a Free Smart Home System from Traton Homes! Everybody knows that buying a home from Atlanta’s most trusted locally owned homebuilder is smart. From now through January 31 it’s even smarter! That’s because Traton Homes is offering a full-featured Smart Home system with the sale of a new home, in any of our 10 great neighborhoods—from Marietta to Milton, Carrollton to Kennesaw. Smart Home systems are just plain smart! From a phone or other device, you can control your lights, thermostat, door locks and more while you’re at work or on the run. How great to come into the house on a dark winter evening to lights and heat. It’s safer and more secure, too! It’s smart and easy to make your new home a Smart Home. Purchase an existing luxury townhome at 28 & Mill in downtown Woodstock (walkable lifestyle, trails, dog parks, close to I-575), a new single-family home at The Grove at Adams Pond in Smyrna (close to Smyrna Market Village, SunTrust Park, Silver Comet Trail, great shopping and dining) or any other Traton home, and we’ll say thanks by adding a Smart Home system at no cost. Whether you’re on your way home from work, or hundreds of miles away on business or vacation, save money and stay safe by controlling lights, heat, air, locks and more from your phone. If you’ve been thinking about a new home in any of our 10 neighborhoods, the smart time to act is now. 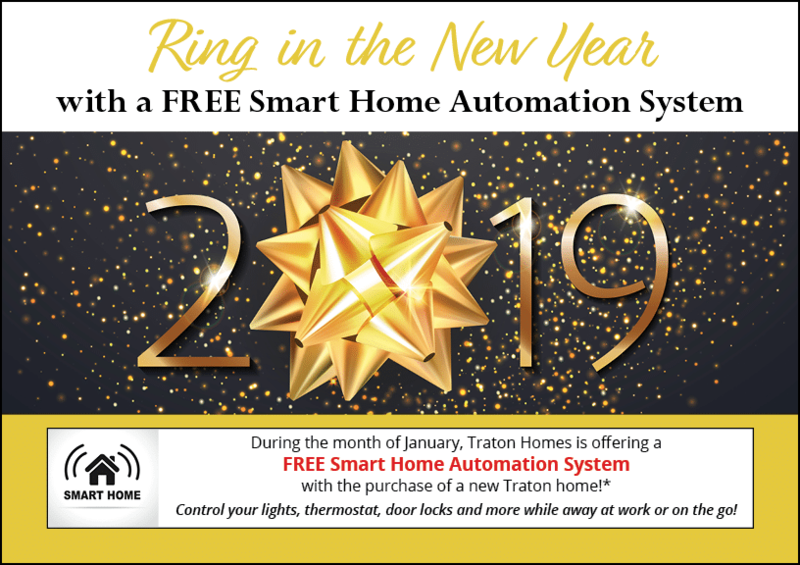 Take advantage of Traton Homes Free Smart Home Automation System through January 31!